I live in Whitehorse, Yukon with my Mr. and our Yukon mutt Starbuck. 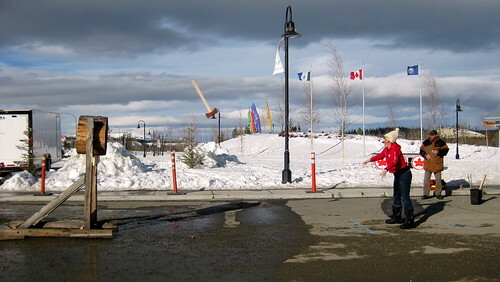 I love to compete in ridiculous competitions, particularly ones that involve growing hair on my legs, packing flour on my back, throwing axes or towing cars. Apparently my skills lie in the types of competitions that will never gain Olympic status. I also love bicycles. 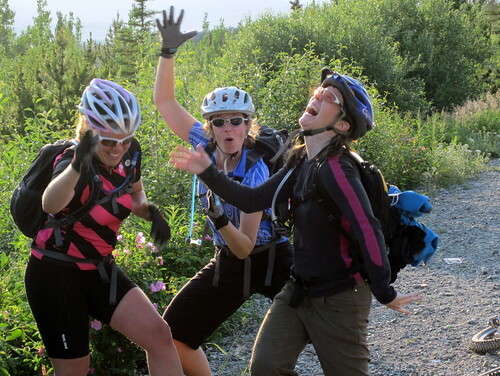 In the summer I ride my bike with my friends – sometimes we get so excited about riding we have to do happy dances. 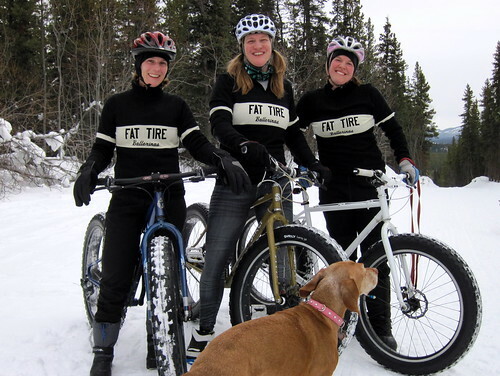 In the winter I ride bikes with my friends – sometimes we get so excited we make custom wool jackets. In the fall and spring I go on bikecations and ride my bike all over the world.